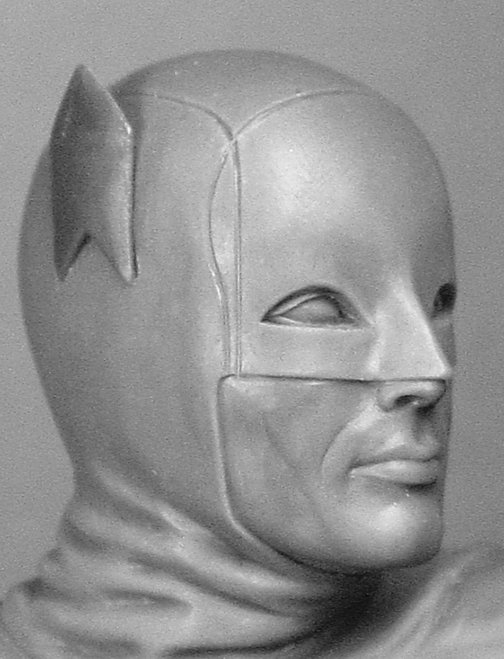 We’ve had great fun over the last couple of years taking you behind the scenes with Diamond Select’s BATMAN ’66 statues and busts (click here for the full INDEX of Bat-tastic features) and now we’re here with a SNEAK PEEK at the Bat-daddy of them all! 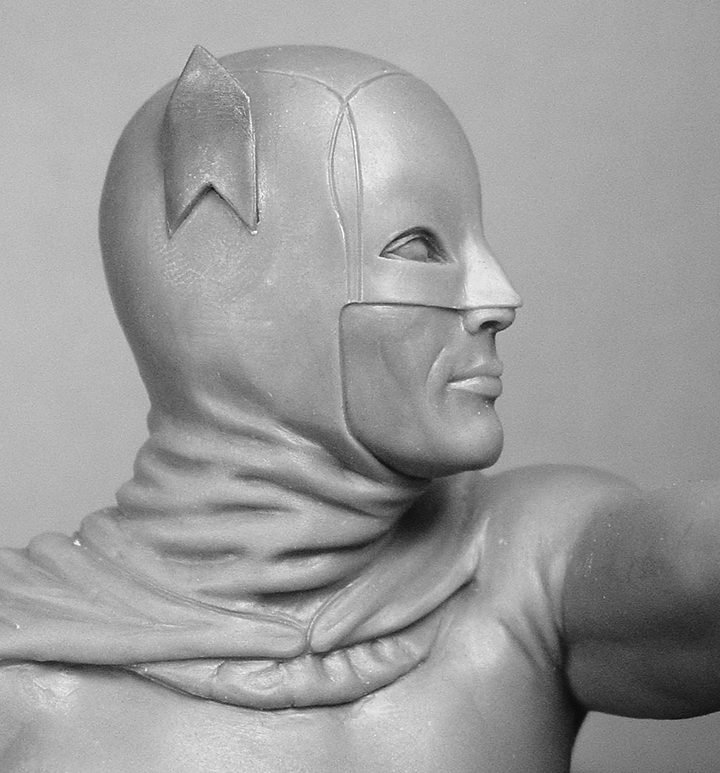 Diamond’s Adam West Batman statue — which you first saw here — will be joining the Julie Newmar Catwoman (click here) and Yvonne Craig Batgirl (click here) statues this winter. It’ll be in the same price range, too, at about $150. Cesar Romero’s Joker is coming, as well. I, like you, am always fascinated by how these things are created. Maybe it’s because my primary mode of mass communication is the written word. I can’t draw and I can’t sculpt, so there’s something really compelling about the talent behind something like this. Dan Greenfield: Pardon the pun, but this is a pretty dynamic pose. How did it come together? 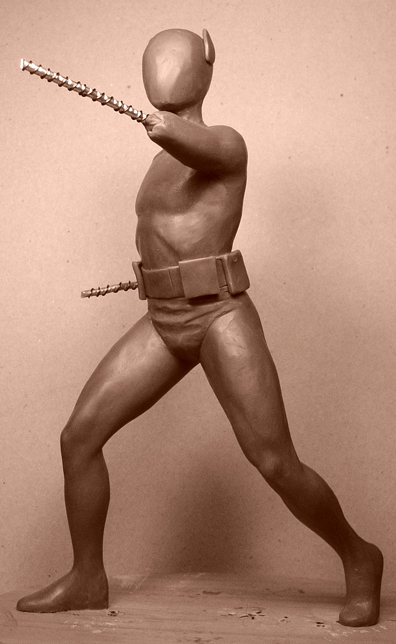 Clay Moore: In this case, Barry Bradfield designed the pose, along with DST. … I thought the pose looked good and thought it was a good approach to use an action pose reminiscent of the campy fight scenes in the show. … I think, in general, a company wants a line to do well enough to do the main characters more than once. We’d probably do a more standard “hero” pose on the next one. 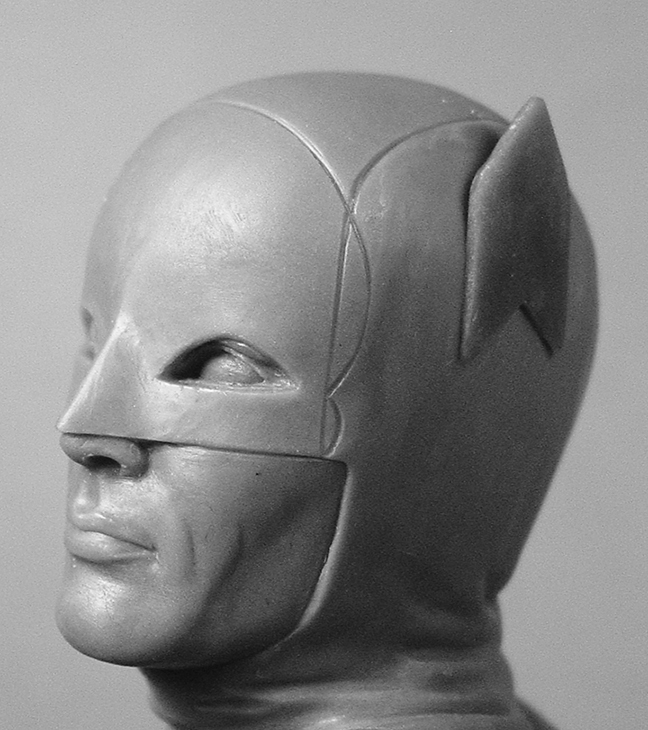 Barry Bradfield: When I first heard we would be making Batman ‘66 product, this is one of the first things I drew, but as a concept for the first Batman bust. It didn’t read as well though because of the lack of legs. You knew he was throwing a punch, but it just wasn’t as dynamic without the legs. Some time later, the full statue came up, and I designed him flaring his cape out. It didn’t feel quite right through, so when I was asked if something else could be done, I immediately thought of the abandoned bust design. It’s worked much better with the full body pose to see the action! 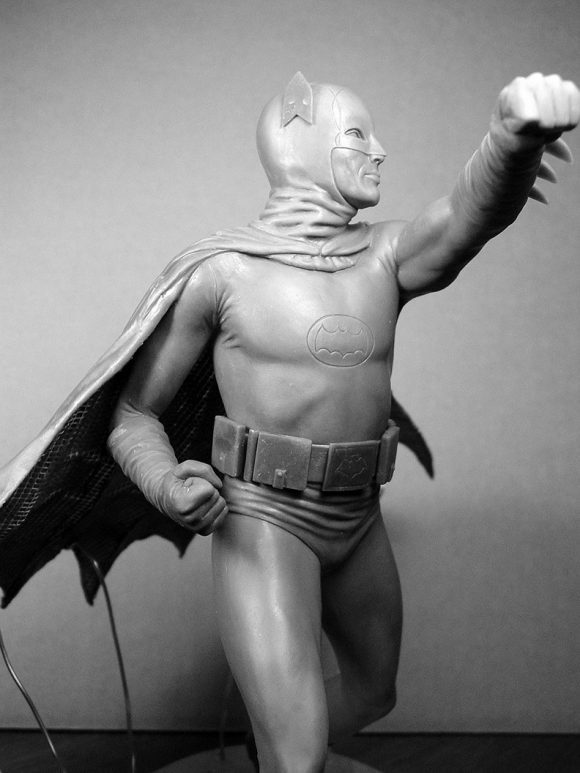 Dan: Between doing Adam West’s likeness on the busts to doing the statue, what did you change? Barry: On my end of the project, nothing really changed since it was all from the same source material. Personally, I feel that my quality of work on the likeness was much better though, since I designed the bust and statue about two years apart. 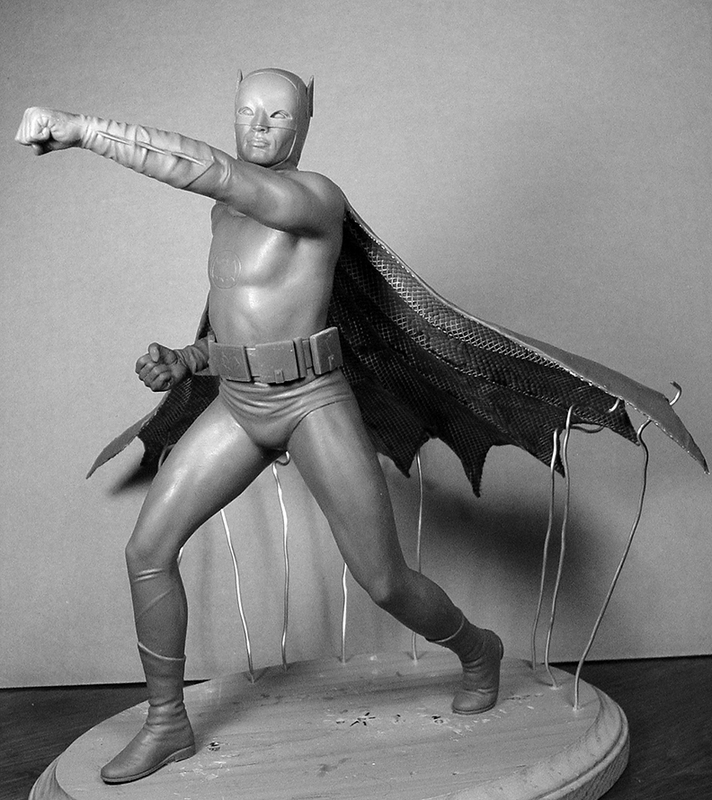 It was really up to Clayburn Moore to make sure Adam West was in the sculpt. I really love what he did with the final product! I can’t wait to put it next to the Batgirl statue! 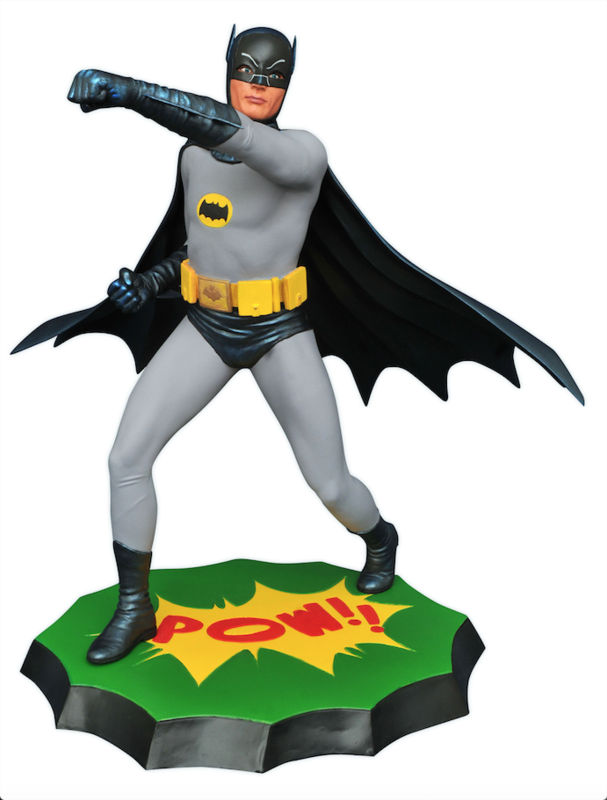 Dan: Clay, there’s been a ton of merchandise now featuring Adam West’s likeness. The prototype pictures look really good. What are the challenges of getting West right? 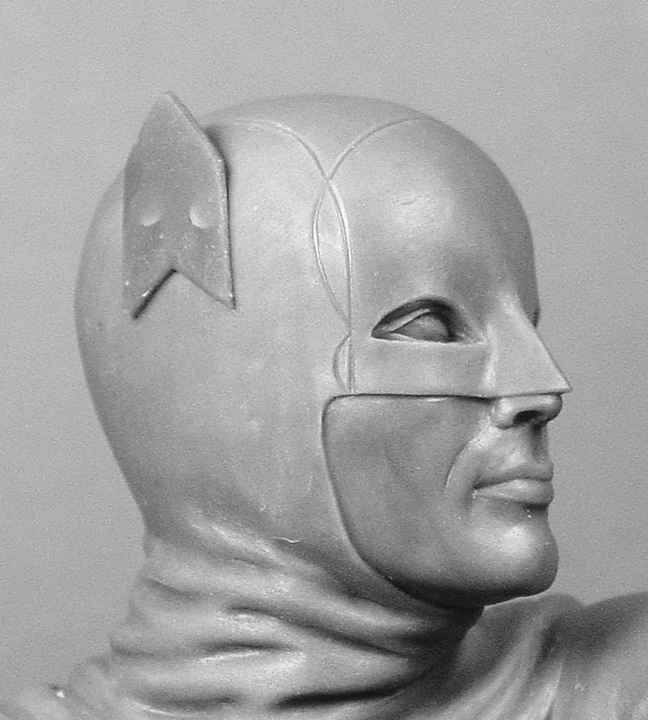 Clay: Adam West has a good face and a strong chin, but not a typical, rock jaw. Also, he has a turn down at the outside of his eyes that was difficult to capture. He was a well-built man, but even an athletic man can look less than stellar in those tights they were in. I wanted to get the athletic look, but not overdo it. There was a balance that was a challenge. 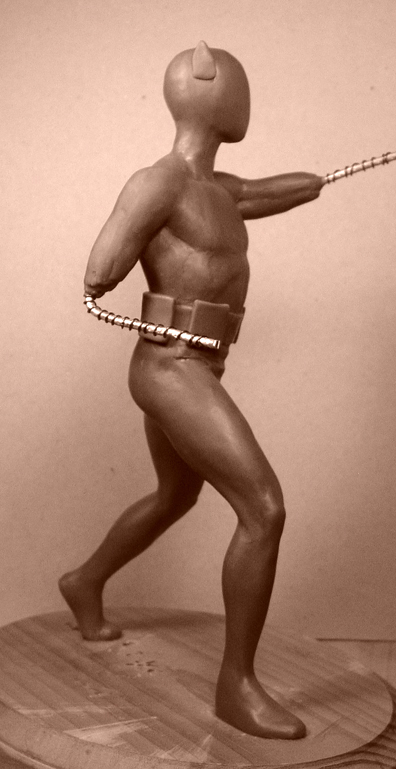 The utility belt could make him look slightly puffy at the waist, but that wasn’t in his build. Even at around 40, he stayed in shape and I wanted that to come across. 40 is young today, but in those days, they didn’t know what we do today about fitness and nutrition, but he maintained his health and still looks trim today. Dan: The forthcoming Joker statue was sculpted by Jean St. Jean, but you sculpted the others. Will you be doing more? Clay: I was working with DST in a freelance capacity when I was offered these assignments. I enjoyed doing them, but I may have said before that given a choice, I’d rather do comic-style art statues than live action. When I was offered the ongoing position of art directing and sculpting the PVC Gallery Marvel line and the Marvel Premier resin line, it was a perfect role for me. Dan: What character would you like to see next? Clay: June Wilkinson made a stunning Evelina and defined statuesque, so that is one. Or Frank Gorshin as the Riddler. He had such an expressive face and there are endless terrific poses for him. The costume was great, too. Joan Collins would make a nice statue as the Siren. Neither of these women were in more than two episodes, but they’d make lovely statues. Barry: I would draw anyone if asked! 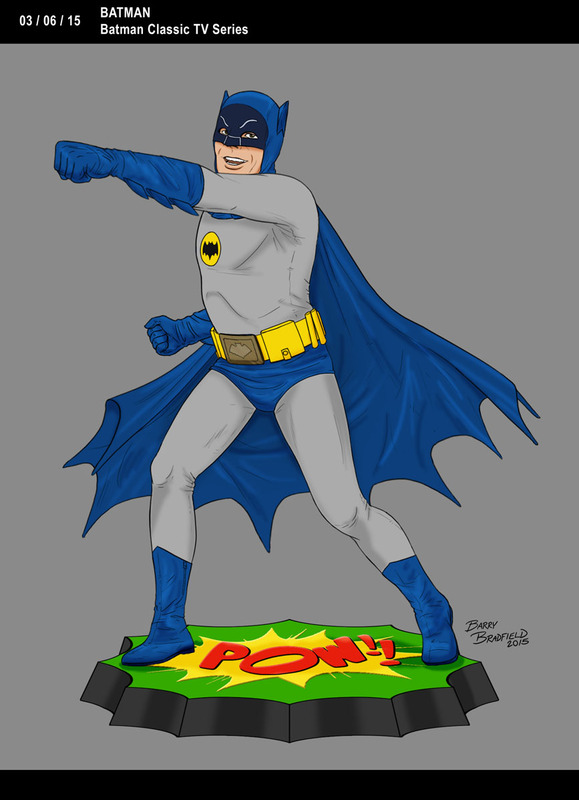 Personally, I would like to see a corresponding Robin in a mirrored pose to Batman’s. That was part of the original bust concept that didn’t make it – having them KO a villain by punching them at the same time. If people want to see more, they should definitely write in and ask! 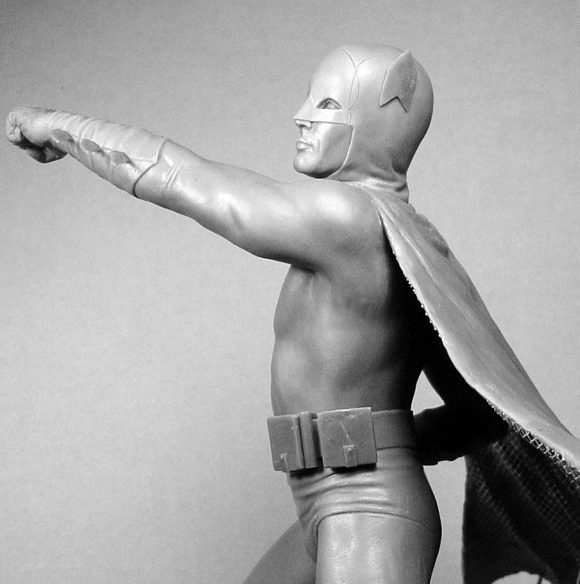 For the full INDEX of stories about Diamond Select’s BATMAN ’66 line, click here.